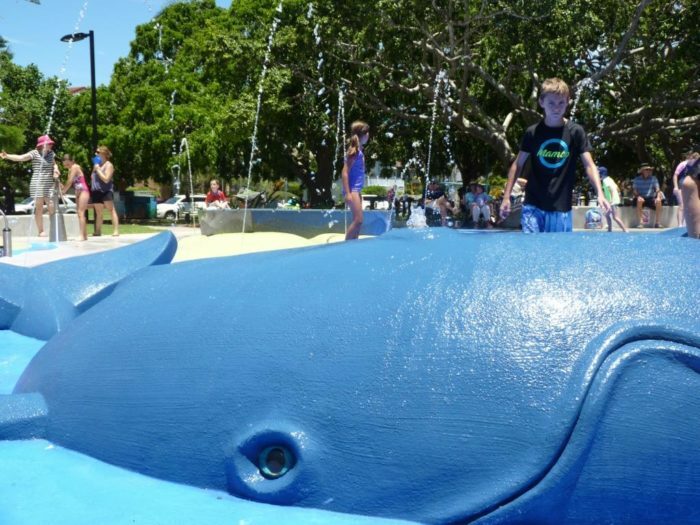 When we were asked to be involved in the Pandanus Beach redevelopment in 2003 we would never have been able to imagine the impact our Whale pod gave to the park. 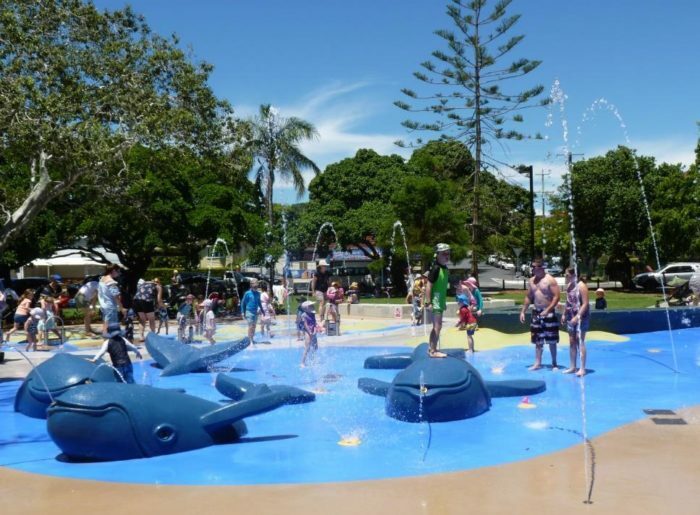 The setting was very quickly colloquially referred to as “Whale Park” and became an iconic landmark for not only the Bayside suburbs but all of Brisbane, in the same vein as Southbank and the Kangaroo Point Cliffs. 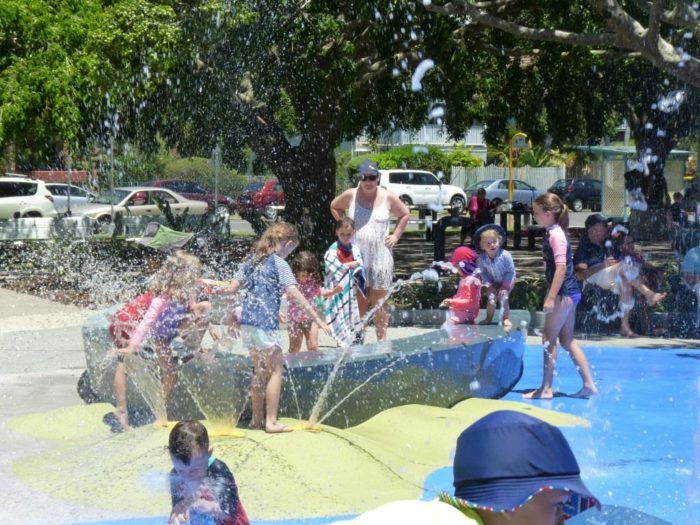 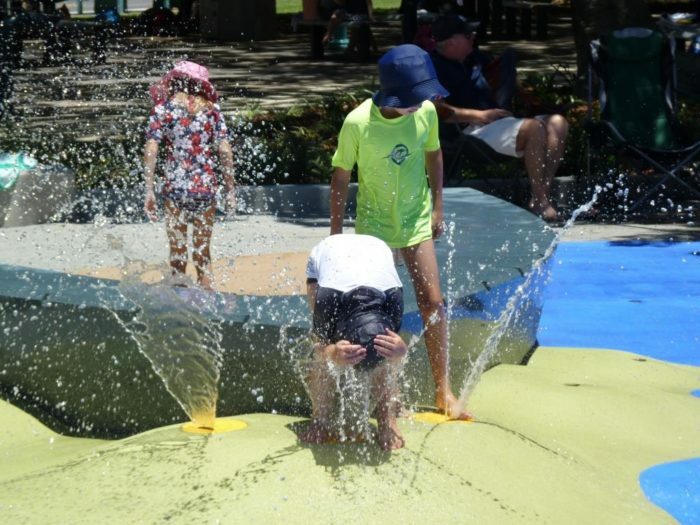 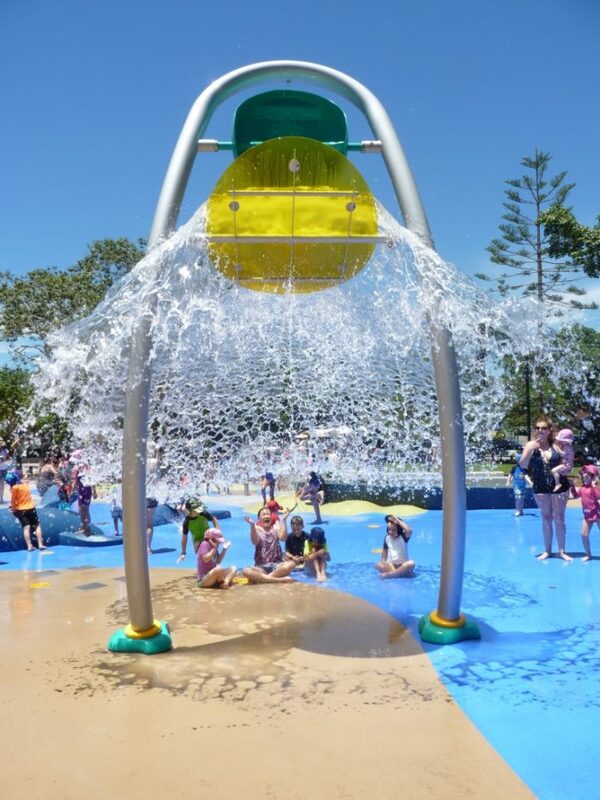 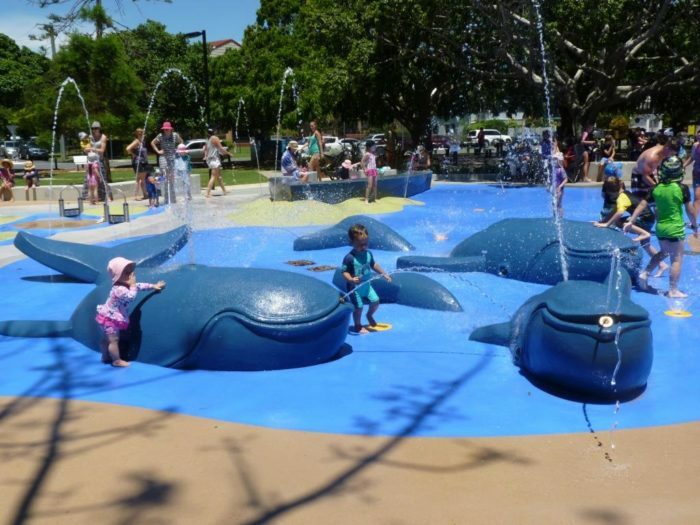 Due to the popularity of the site Brisbane City Council decided to upgrade the park, creating a full blown Sprayground while respecting the legacy of the “Whimsical Whales” which had become so popular. 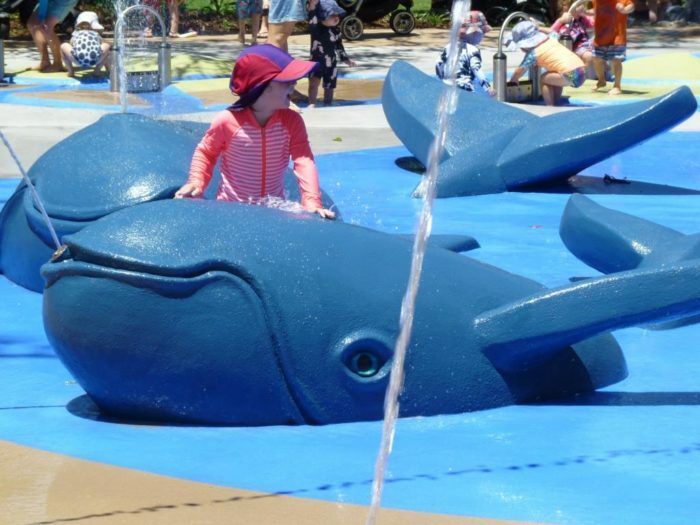 The Playscape Creations’ design and construction team assessed the site and came back to BCC with a design that incorporated three slightly smaller whales, mother, father and baby, each with their own individual characteristics. 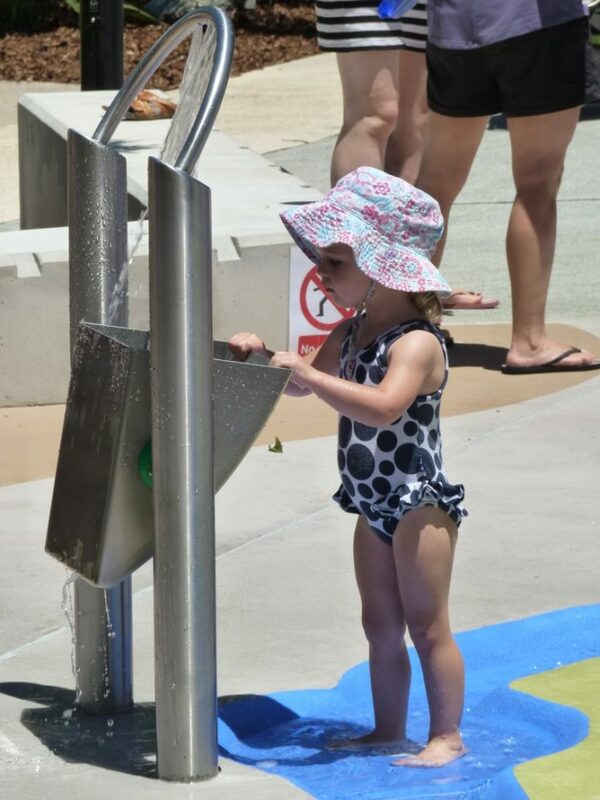 To complement the water spurting whales we have also provided 30 ground sprays and a massive ‘Versosplash’ tipping bucket. 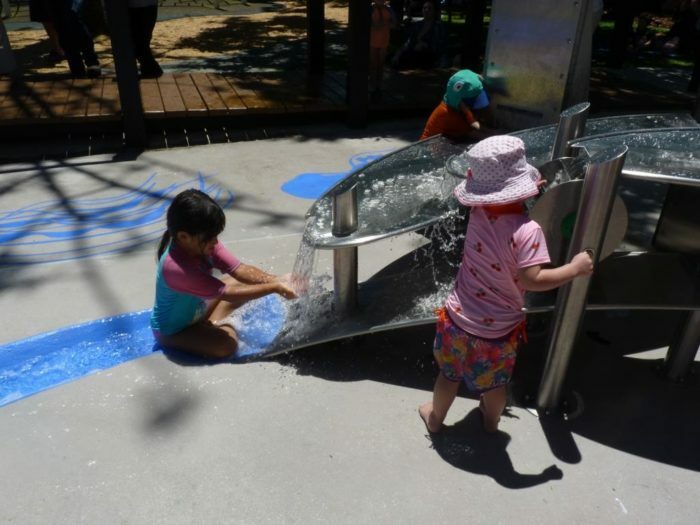 For the younger children we have also provided a unique interactive area with our “Overflow” Triple Troughs, Water Tipper and Hand Pump feeding a series of streams with Sluice Gates. 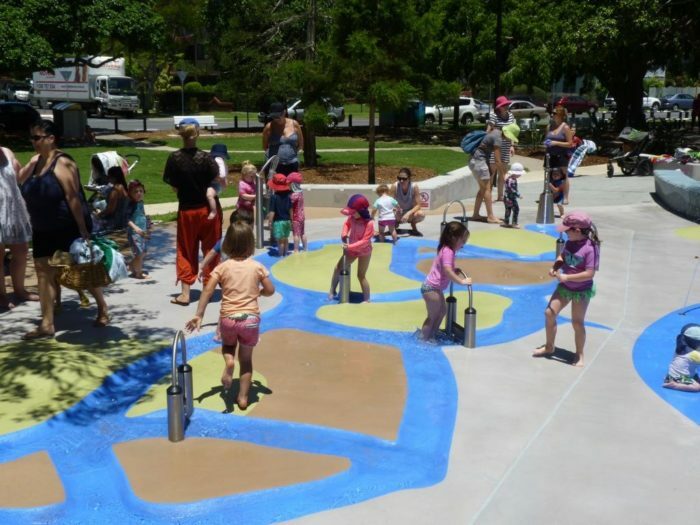 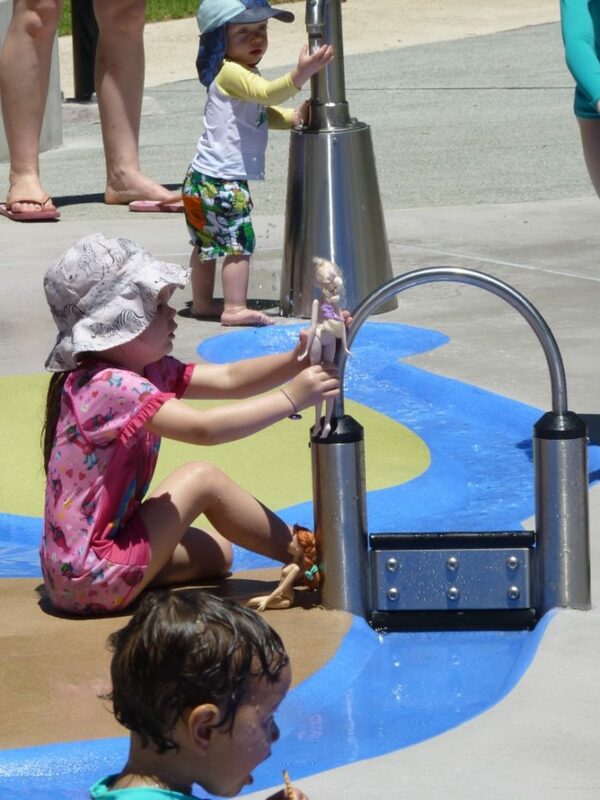 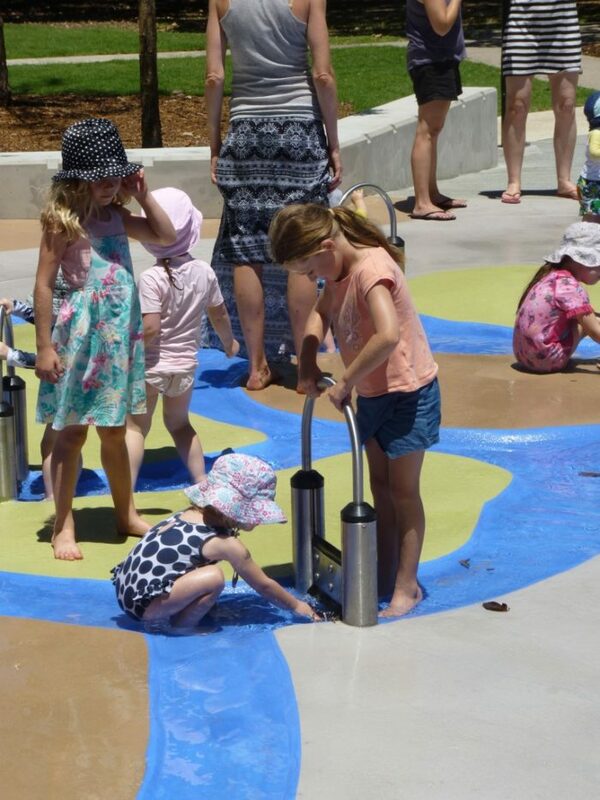 The Sprayground also incorporates a Boat Shape made from coloured formed concrete, providing a little diversity in the space and a separated area for younger children to get their imaginations into overdrive. 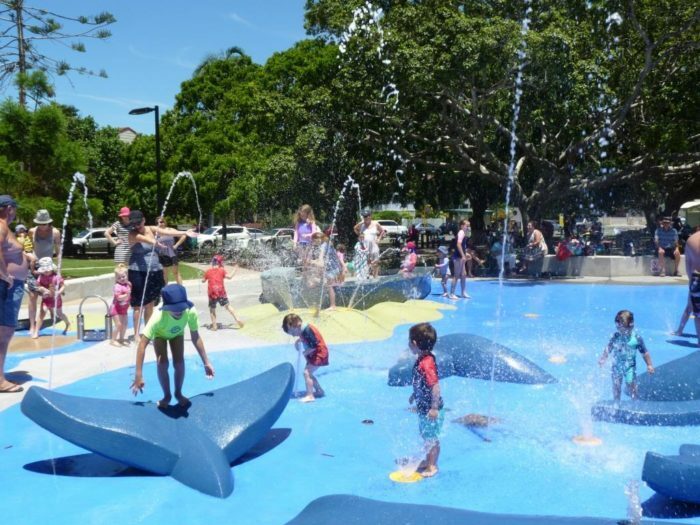 The spray ground is surrounded by garden areas and lawns, with formal and informal seating on the edge of the activity zones. 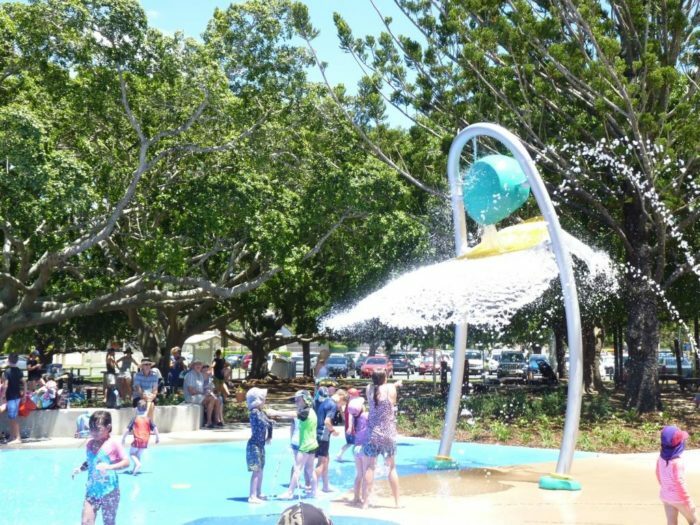 Shade is provided by heritage listed trees which frame the site, and give this new construction an amazing “established” look. 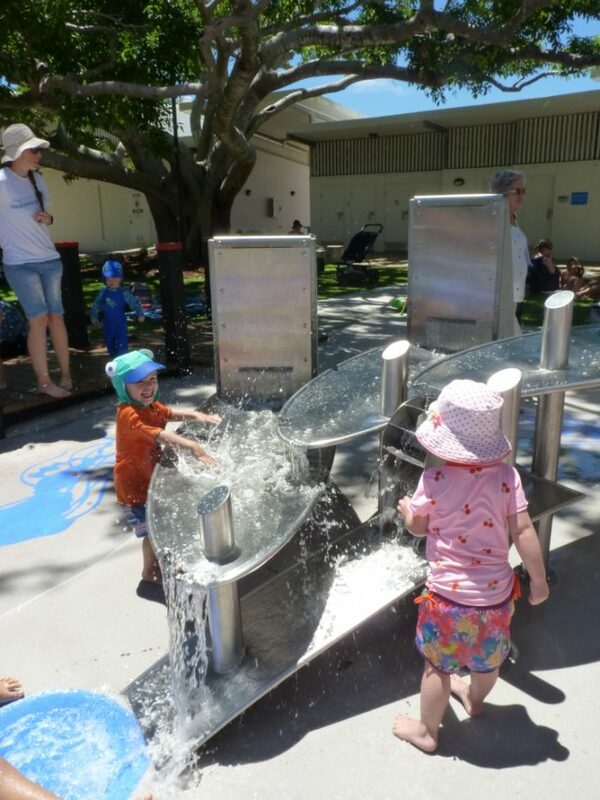 Like all water parks most of the construction and cost is either under the slab or in the plant room. 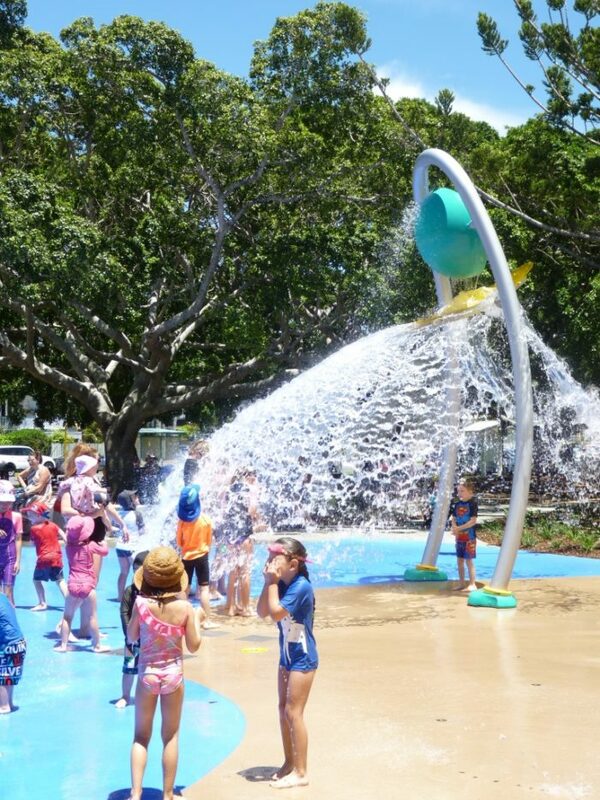 Council recognise this park as one of their highest profile settings hence the need for a bullet proof water delivery system. 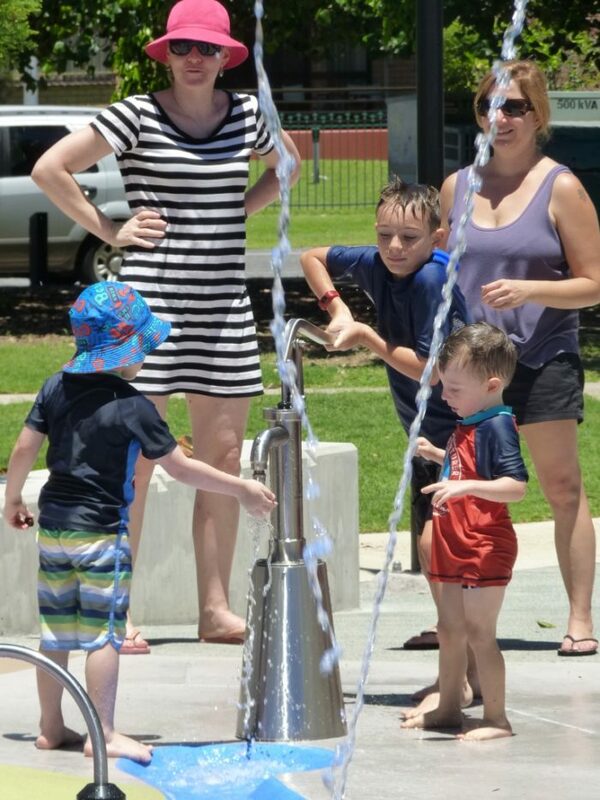 Our expert plumbing and electrical engineers devised a ‘Duty Cycle’ dual pump arrangement where there are two pumps capable of running the water delivery, one on stand by at any time. 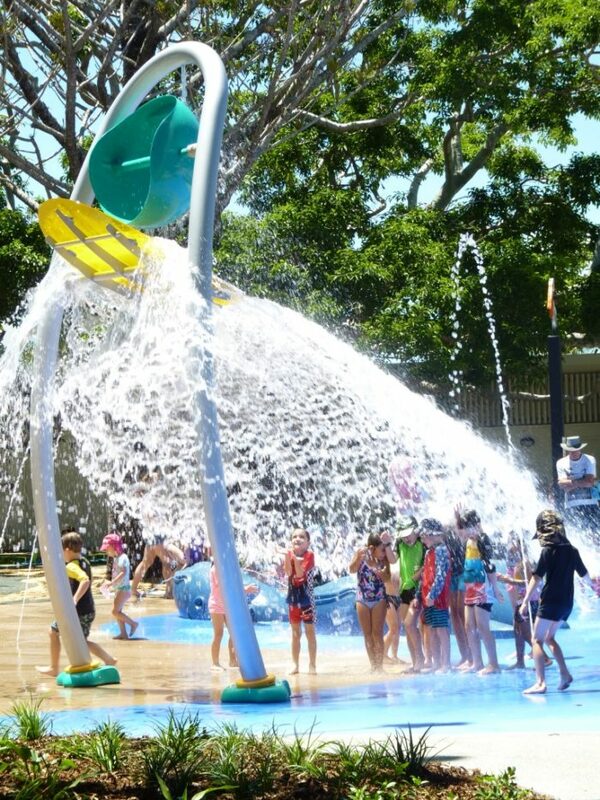 Should there be a mechanical failure the PLC based program will immediately jump to the alternative pump, ensuring park users don’t miss a minute’s fun. 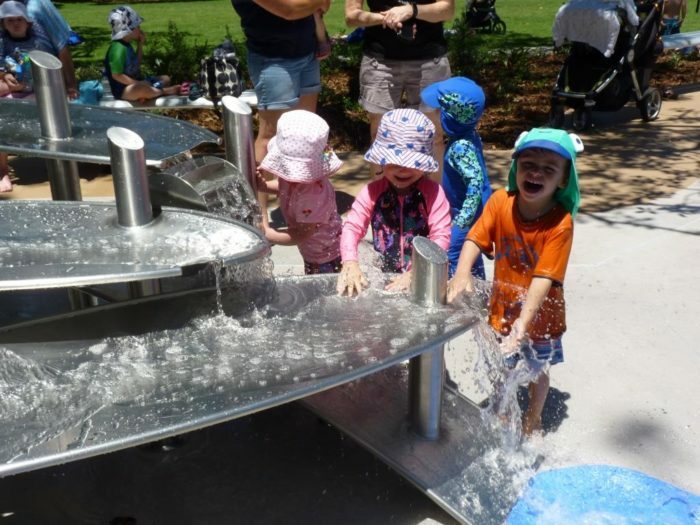 Watching players at the park, it’s fantastic to see its success – children of all ages in worlds of wonder!